Cyrus company does a variety of foam jobs at big malls and shopping centers, but we also work on smaller venues like this one. 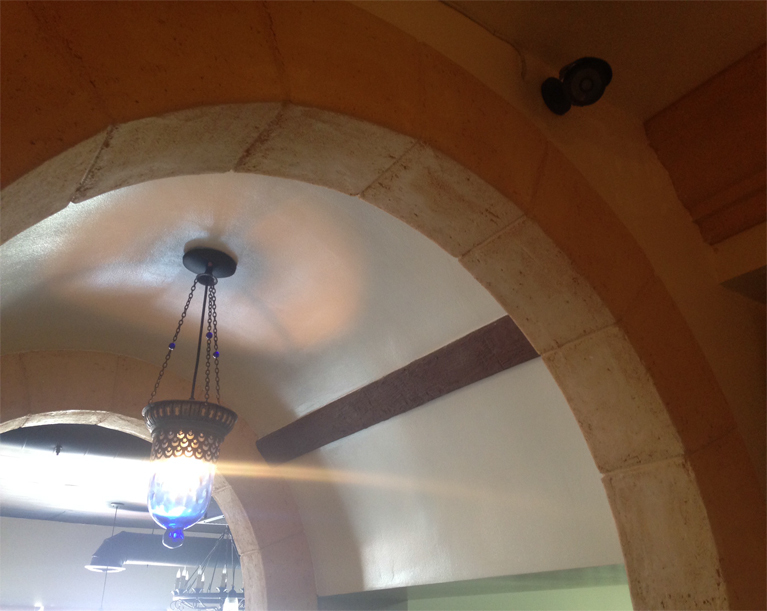 In this particular restaurant and shop, the owner wanted to bring the ancient look of the city of Aleppo, Syria to his customers by creating a gathering place for young and old to experience the feeling of an old country while dining. We prefabricated all the pieces on the arches and fake wood texture beams, and the installation was simple. 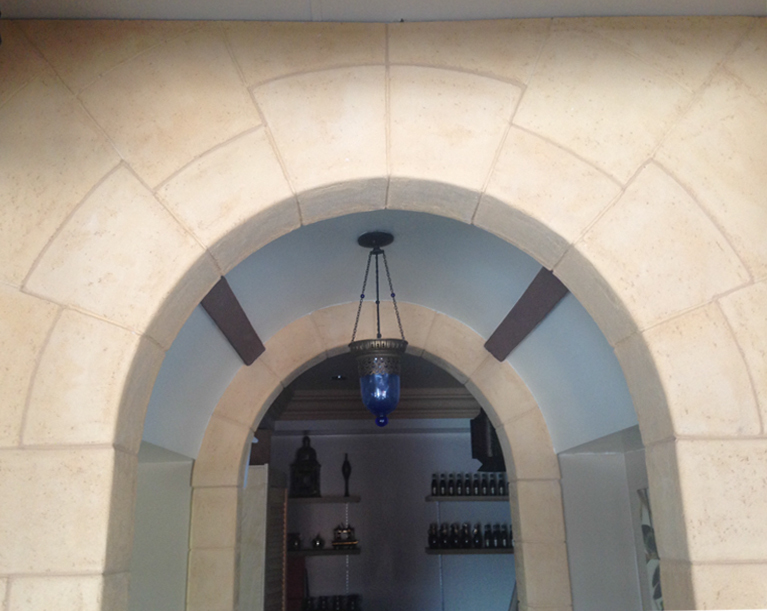 Texture was very important to our client, so we created rough textures by using crushed limestone. Cyrus company is famous for using quality materials. We always use premixed acrylic grout for the interior joints to reduce cracking, and since this is a high traffic area, it was reinforced with high density foam and high impact mesh. 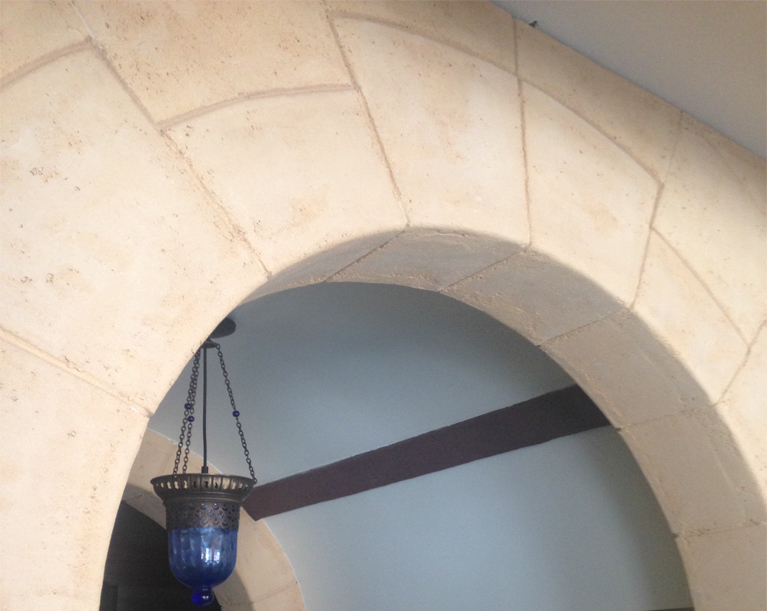 The thick base coat and rough limestone finish helped the owner to bring this culture to the city of Anaheim.